A hilarious and heartening collection of kitchen catastrophes. In this raucous new anthology, thirty of the world's greatest chefs relate outrageous true tales from their kitchens. From hiring a blind line cook to butting heads with a crazed chef to witnessing security guards attacking hungry customers, these behind-the-scenes accounts are as wildly entertaining as they are revealing. 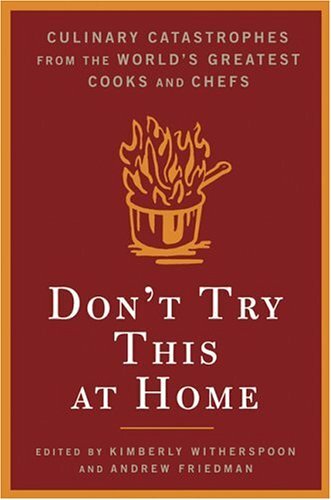 A delicious reminder that even the chefs we most admire aren't always perfect, and featuring never-before-seen recipes from each contributor, Don't Try This At Home is a must-have for anyone who loves food--or the men and women who masterfully prepare it.